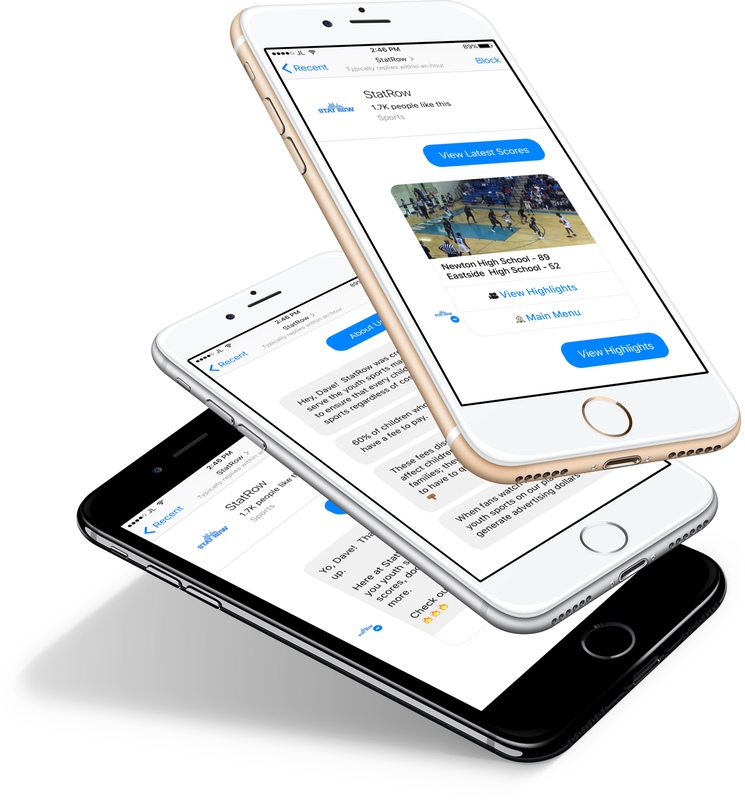 StatRow wanted to market their app to younger users. 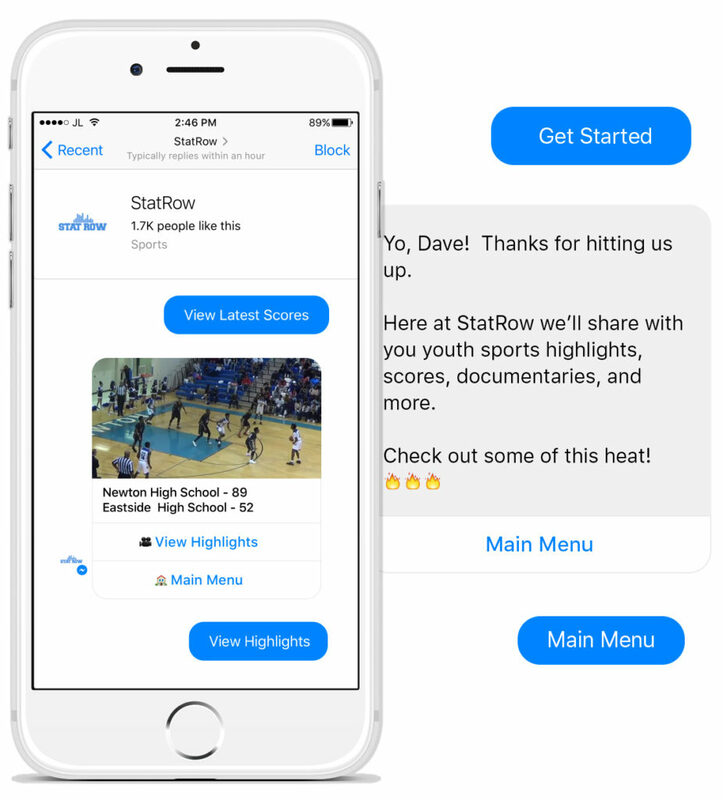 I decided they should go with Facebook Messenger since it gets 1.6 billion users per month and this is the demographic that StatRow was targeting for their app. 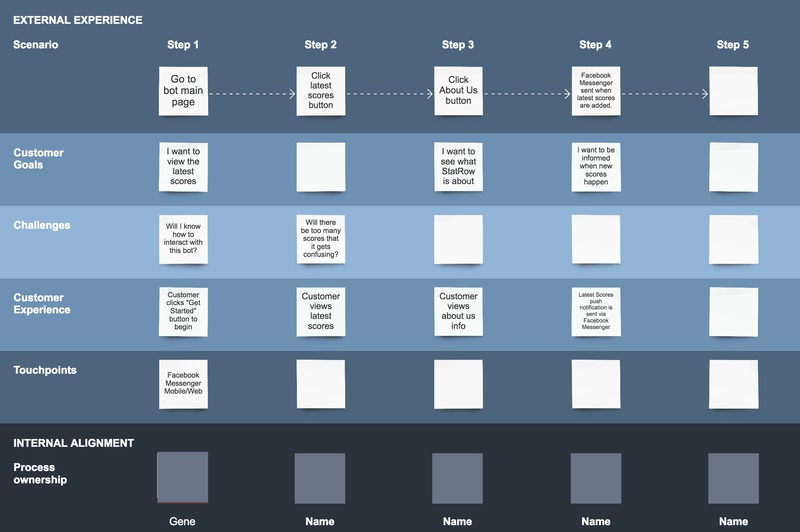 In developing a Conversational UI, I created a User Journey Map and Personas so we could have documentation of the expected user flow and the type of users we were developing for. I created a prototype to show stakeholders how the bot would flow and function. 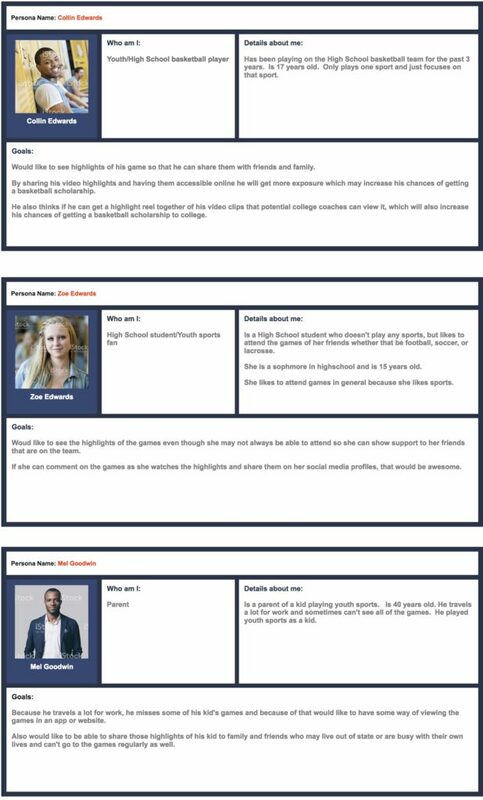 I created a chatbot for StatRow that displays the latest scores from some of the top high schools across the country, tells users about the startup and what their company goals are, as well as send push notifications to engage users to view the top highlights of the night.